Garage doors can take up to 30% of a home's exterior, and with so many styles, materials, and accessories to choose from, you may find it can take almost 60% of your time trying to find the right one. It's overwhelming. That's why Overhead Door created its Design Center, so customers can easily weed out the designs they don't love in order to find the ones they do. In just a few minutes, garage door seekers can select, customize and share their garage door ideas, making the process of defining the look of their home a lot less painful. The new DoorView Visualizer introduced last year makes quick work of of deciphering which materials, styles, windows and hardware options look best with your home's existing curb appeal. Head to the DoorView Design Center. 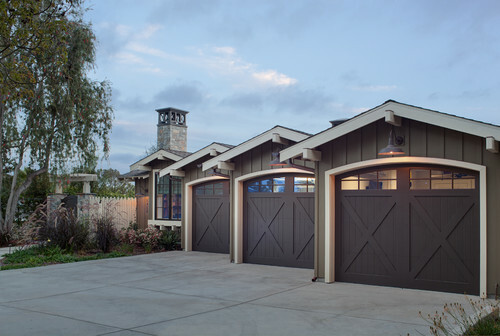 Select a garage door style to try one. For best results, upload a clear and bright picture of your home, or use one of the available model homes as a guide. With so many easily changed options, the DoorView Visualizer actually makes the process of choosing the right garage door fun. And, since upgrading your garage door can be one of the best things homeowners can do to improve the value of their home, it's a great place to start when planning your home remodeling projects.